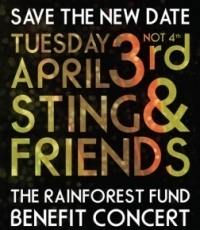 The Rainforest Fund Benefit Concert, "Sting & Friends" produced by Trudie Styler, will take place at New York's Carnegie Hall on Tuesday, April 3 2012. 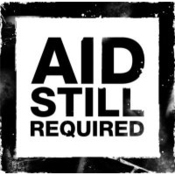 A limited number of "Concert Only" tickets will be available priced at $600. All other seats will be available in March through the Carnegie Hall Box Office. Watch out for the on-sale announcement. For further information, please email rainforest@eventassociatesinc.com or call Event Associates, Inc 212-245-6570.